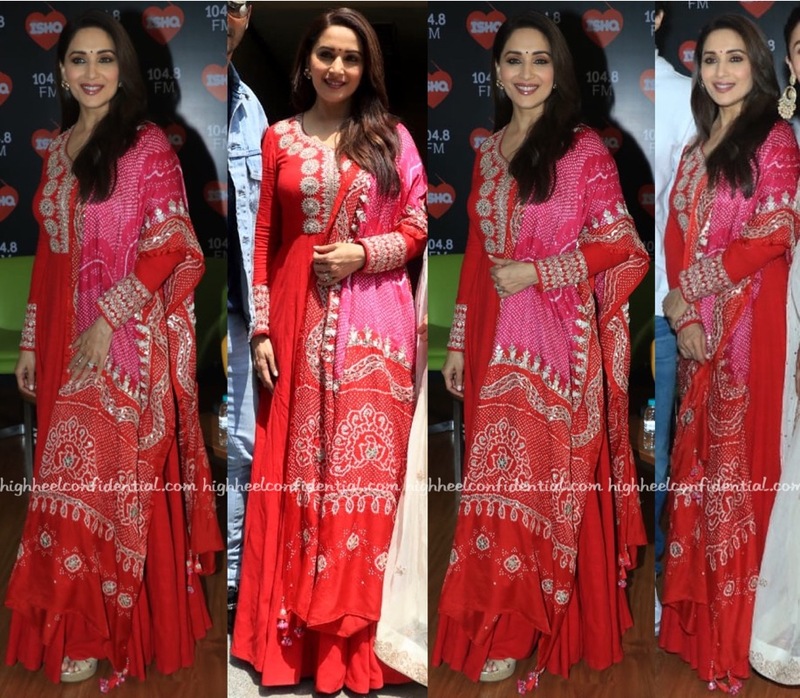 Latest round of movie promotions had Madhuri wearing a Faabiaana suit. Letting the striking color take center-stage, she rounded out the look with a bindi and glossy lip. The color looked great on her! 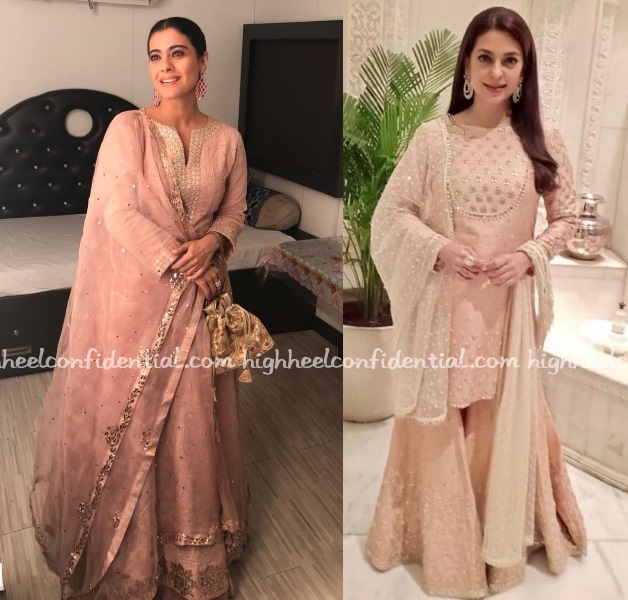 Shilpa attended the Mehta-Ambani wedding reception wearing a pale pink lehenga by Faabiiana with jewellery from Rare Heritage. 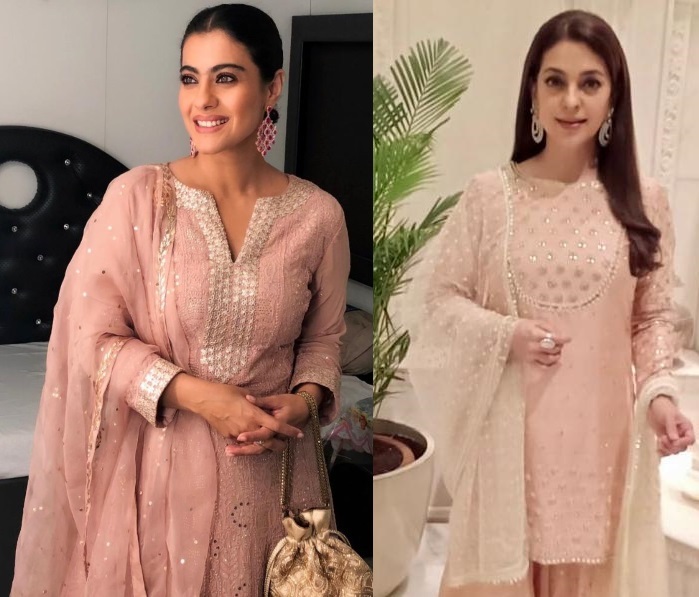 If Rekha has her signature look, Shilpa has hers too and this is it. And I would have liked this look if that satin top wasn’t grabbing most of my attention and she’d picked a different potli.